Several staff at the University of Sussex are using the free Padlet tool in their teaching. This post focuses on two examples. 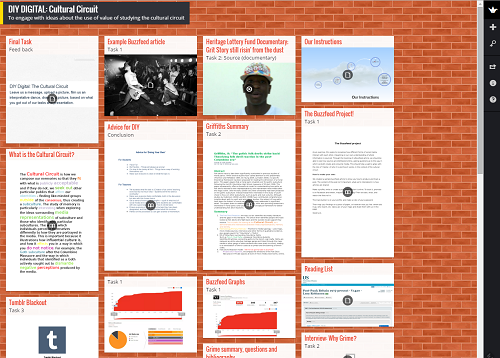 Padlet is an online board or ‘wall’ where multiple users can post text, documents, images, videos, music, and weblinks in one of several visually appealing formats. You can read more about Padlet and how to use it in this blog post by Vicki Davis (@coolcatteacher). No specific hardware or software download is required. Padlet can be used in any web browser, with the iOS app or one of a range of apps and plug-ins. Dr Lucy Robinson (History, University of Sussex) used Padlet as part of an innovation project, ‘DIY Digital: Doing Punk Online’. Students on the Special Subject module ‘Post-Punk Britain’ developed their own open educational resources on a topic related to the module. These were then shared with students on related courses at Sussex, nationally and internationally. Read more about Lucy’s project on her ‘Now That’s What I Call History’ blog. Dr Rebecca Webb (Education, University of Sussex) used Padlet as a ‘Sharing Wall’ for postgraduate students of International Teacher Education. All the students were from Kazakhstan, ‘high achieving’ in maths and science subjects and fluent in both Russian and Kazakh but with limited academic and social English (especially at the start of the course). Padlet provided ways to actively engage them in teaching sessions in order to record interactions, thoughts, outcomes and to find ways to expand understandings of ‘learning’ to more informal contexts beyond the classroom too. Padlet takes pretty much no training and helped students to develop their skills in online curation, collaboration and reflection. One group used colour coding and numbered titles on the different objects to guide the user through them in order. The second group provided a very simple guide based on one of our original sources. It told the users to pick one each from a variety of different types of object (podcasts, Powerpoints and media sources) to come up with their own individual combination. One of the groups also set up a Padlet as a public space where users could leave their feedback on the OER. With a little encouragement, students began to post their own materials: photos, video clips, short extracts of text, post-it notes; and messages which became arranged in chronological order. One student put together an animation towards the end of the first term by way of a review. What did the technology enable that could not be accomplished without it? What were the outcomes and aims realised? With the Sharing Wall students could see – at a glance – the way in which their cumulative experiences of ‘learning’ were expanding all the time. Rebecca also found the Padlet tool invaluable as a source of course evaluation: when she spoke to the students at different points on the course, she used the ‘Sharing Wall’ as an aide memoire. Rebecca felt that it seemed to ease discussion to have something – other than themselves – to direct their gaze towards and it gave space for greater reflection and thought. 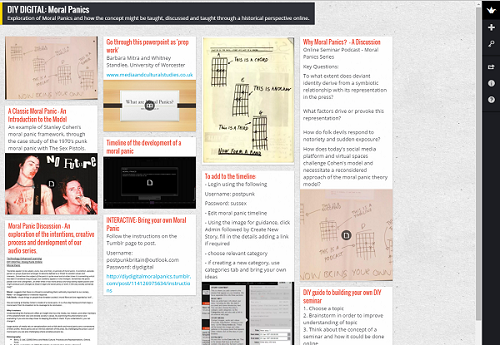 For DIY Digital, Padlet was a great space to share and store possible links and resources. Its lack of imposed structure or order helped us find surprising and unexpected relationships between different sources, documents and digital objects. The key elements to punk pedagogy are: make it open, make it fast and Do It Yourself. Padlet was perfect for this. For the Kazakh students it was about seeking high challenge, inclusive pedagogies to support and scaffold teaching and learning. Because it is easy to use and allows have multiple posters and editors Padlet is a democratic platform which visually gives different types of links and sources the same significance or value. After Padlet was used to collate the DIY Digital resources, staff and students spent some time deciding whether to continue with Padlet as a way of presenting the online seminar, (OER). But each challenge Padlet threw up brought its own intellectual pay-offs. The aim was to produce resources that didn’t close down the possibilities of being used in totally different ways by students from different institutions and resources. How then could we guide our users through our resources without imposing our conclusions on them? The unstructured form of Padlet helped us to communicate this tension. Different groups of students came up with different ways of guiding users through their OERs. The European conference for languages connects linguists globally. This annual event for the European Association for Computer-Assisted Language Learning brings together language practitioners from around the world to share and network. The movers and shakers of our community, including those from the US sister organisation CALICO, connect and international collaborations are formed and reinforced. The programme is available here. 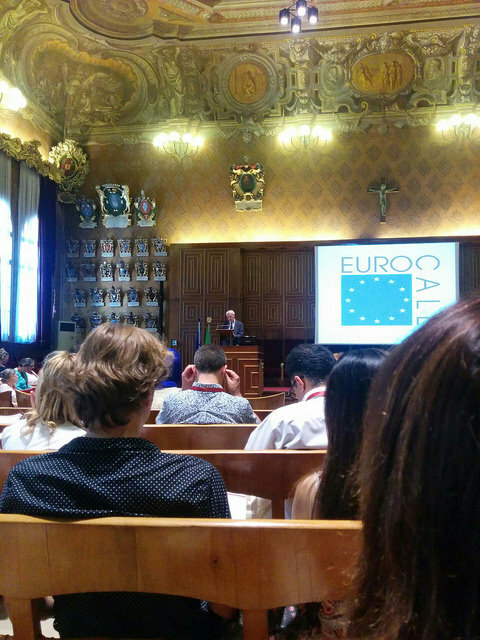 This year’s theme, delivered at one of Europe’s oldest universities, Padova University was Critical CALL, an opportunity to reflect on our practice and unpack assumptions. 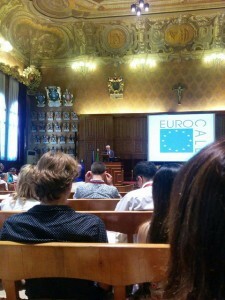 The keynote, delivered by Robert O’Dowd (University of Léon, Spain) in the spectacular Aula Magna provided a context for our deliberations, focusing on a rapidly developing area of CALL, Computer-Mediated Communication (CMC). Revisting the history of CALL. When CALL first established itself as a domain of activity it led the way in bringing together pedagogy and technology. Breaking new ground at the time, journals such as ReCALL captured the state of the art in the use and creation of CD-ROMs and early computer-based programmes. Times have changed of course and so therefore has our need to return to first principles. The keynote encouraged us to look beyond language learning, take more risks and collaborate with other disciplines. Keynote speaker Sian Bayne (University of Edinburgh) despite suffering from a failing voice due to a bad cold, encouraged us to examine the research space where human meets technology, to “see double” – she shared her Teacherbot research with us. Our final keynote came from Lynn Mario T Menezes de Souza, (University of Sao Paolo, Brazil) who focussed our attention on the critical importance of our role in supporting global understanding and transforming the potential for violent and bloody confrontations into one with more productive and mutually beneficial outcomes. He stressed the importance of working within our contexts to create a compassionate world. 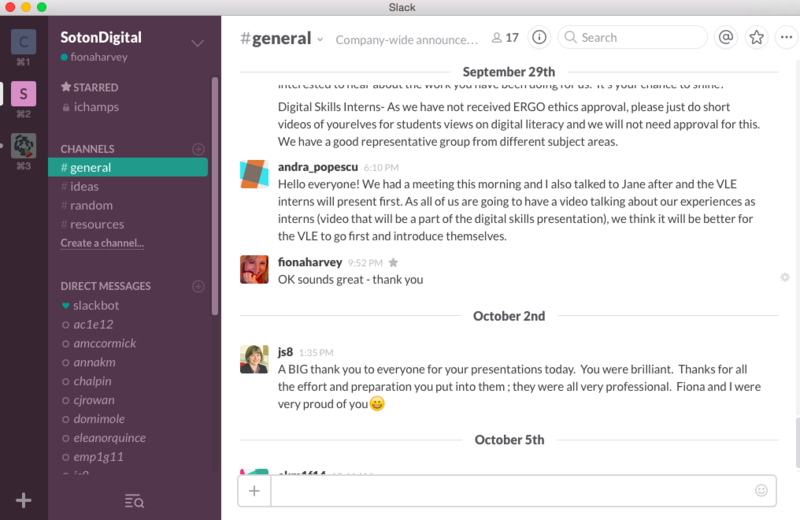 Building the future of CALL. Eurocall is always a positive international event bringing many contexts and backgrounds together. 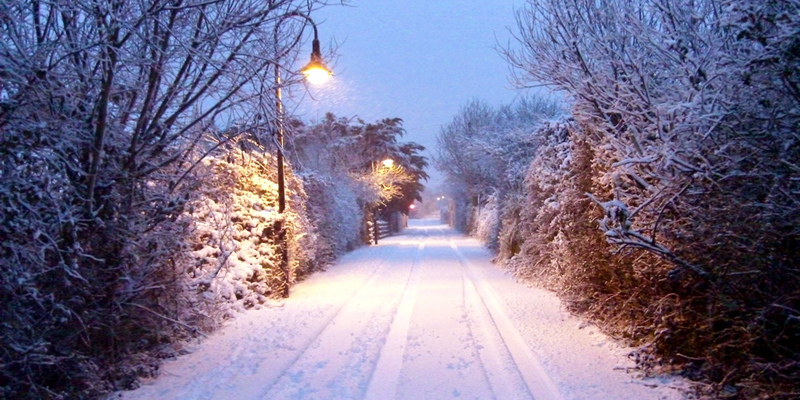 This year seemed to be a particularly significant point in the development of CALL. Participants from Iran had queued for days to get visas to attend. In total 354 participants registered from 35 different countries. The virtual strand provided live streams for all our keynotes, social networking around the event, which was largely mediated by twitter (Wi-Fi in Italy is somewhat hit and miss) #eurocall2015 will give you a taste of the friendly interactions and some intriguing glances into the nocturnal activities too! Next year’s Eurocall will be in Cyprus at the Cyprus University of Technology. “With power comes great responsibility” How librarians can harness the power of social media for the benefit of library users. I was fortunate enough to be able to attend the annual conference of the CILIP Multimedia, Information and Technology Group’s (MmIT) held at the University of Sheffield in mid-September. The opening keynote from Marie Kinsley (Professor of Journalism, University of Sheffield) discussed the core of some of the issues the conference title indicated and we would face in the next two days. She illustrated how powerful social media was when we were not allowed to have access to information on the Minton report banned under injunction. Using social networking sites thousands of people spread the information. Within 12 hours, millions of people around the world knew of the Minton report and Trafigura had become one of the most searched-for internet terms. 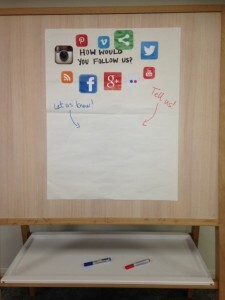 The question is how can libraries use the benefits of social media for their users? I picked up some tips at the conference to answer this question. Many speakers agreed that we must go on social media where our users are, not where we think they should be. Successful social media presence comes from knowing your users well and understanding their needs. 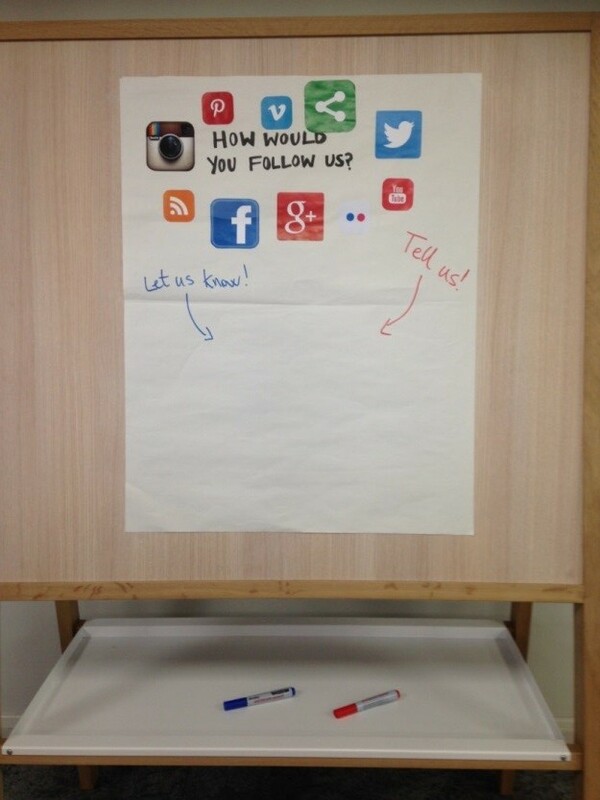 For example last year I run a survey at Regent’s University London and asked my students at the library what social media platforms they think the library should be using. Currently the library is only on Twitter. Surprisingly the absolute winner was Instagram! If most of my students, bear in your mind that Regent’s has a chiefly undergraduate student body, prefer the visual advantages of Instagram, perhaps I should spend less time on promoting our Twitter account. Let alone creating a Facebook profile for the library. 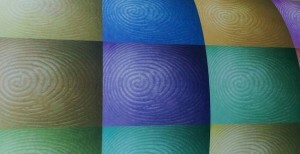 For searching social media try Topsy which covers a range of media all in one place. Many of the workshops addressed information literacy skills. Covering social media in information literacy skill sessions is a good way of making students aware of the platforms libraries are using. Some said that Academic Liaison Librarians should also now teach students and academics how to use social media tools. 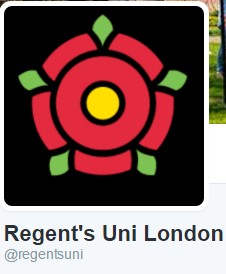 Here at Regent’s such training is provided by the University’s Learning Technology Team. Welcome packs given to new students detailing for example useful Twitter, Facebook, Instagram accounts from key departments and schools to follow can encourage students to use social media platforms for their learning and ensure that they find the right ones. Social media can also be essential because many students engage with libraries remotely. I do not only mean distance learners and part-time students but those studying all across the University in student rooms, on corridors or in the student bar. Academic conversation on social media is a source of information for students studying. I was pleasantly surprised to hear that the University of Edinburgh has its own social media community that meets every second month. I like this idea very much! One of the most interesting presentations was a study by Claire Sewell who measured the impact of social media marketing on users of a business faculty library at a large university. It was fascinating to hear whether a like or a re-tweet would actually affect anything. The entire research paper is available here. Having been to many workshops over the course of the two days, I have come to the conclusion that social media has a positive effect on the student perception of the library. The communication is crucial, social media experts in the library play a significant role. Recently, Liz MacCarthy (@maccarthy_liz) was named on Jisc’s list of 50 most influential social media users in UK HE having set up a twitter account for Oxford’s Bodleian librarians @bodleianlibs. In the future, communicating this way might become part of our job roles. You can see the Twitter timeline for the conference on Storify. 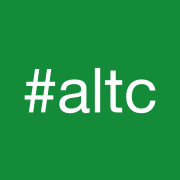 Following from last year’s first Winter Conference in Edinburgh this year ALT are moving online, in the week commencing 7th December to showcase some of the best Learning Technology from ALT Members, individuals and organisations from across sectors. The format of the event is designed to be multimodal combining both asynchronous and synchronous communication and to cross boundaries sharing the work and expertise across ALT SIGs and Members’ Groups and the community. It’s free to participate, but you can also make a financial contribution to support the event and help us continue to run open events for the community. VideoForAll is a 2 year EU funded project that began in January 2014 and brings together a range of partners from across the European Union. At the heart of the project is a one stop shop where language teachers can find examples of how video can be used to foster language learning. Teachers can quickly find examples of different uses of video but also additional information that can help them to adapt the level, language and context of the practice. Video use in education is a rapidly growing area with many technical challenges. Video can play a very powerful role in language teaching but the number of examples and information is often spread across a range of resources and can be quite overwhelming especially to those who are new to video technology. The objective of the VideoForAll project was to create one space with an emphasis on addressing teacher needs. The website currently provides around 50 practices and is still growing. The team have plenty of experience and expertise to draw on and the content is organised to facilitate making, using and communicating through video. Other ways to search the material include a tag cloud, a search box and a list of practices. The idea is that each practice can be taken by a teacher and adapted to their level and language for example adding subtitles to video or using video for practicing oral exam scenarios. The aim was to produce practices that teachers could immediately recognise and apply in their own classroom. Each video practice has a quick summary that provides some basic guidance. There is also a downloadable PDF that provides more information including tips about how to adapt the idea to different contexts. This also provides links to relevant ‘how to videos’ or additional examples of the practice in action. Furthermore, there are two practical booklets which provide guidance on working with video. One is a guide to good practice when creating video and the second guide looks more at the pedagogy of video as a learning resource. These are simple guides, easily accessible and easy to use and provide a sound grounding in using video in a language teaching context. VideoForAll also has a repository of useful books, articles, websites and journal papers. These provide guidance to teachers who might want to delve more deeply into the use of video. The VideoForAll project is reaching its final stages. As a key part of the project, an on-line conference has been organised. The University of Warwick will be hosting the event and the moderator will be Russell Stannard. The challenge now is to sustain and support ongoing use of video in language teaching. The team are looking at ways to maintain the project beyond the life of the funding by involving associate partners and developing a Community of practice around the site. All interested can follow developments through social media #videoforall and like our facebook page.